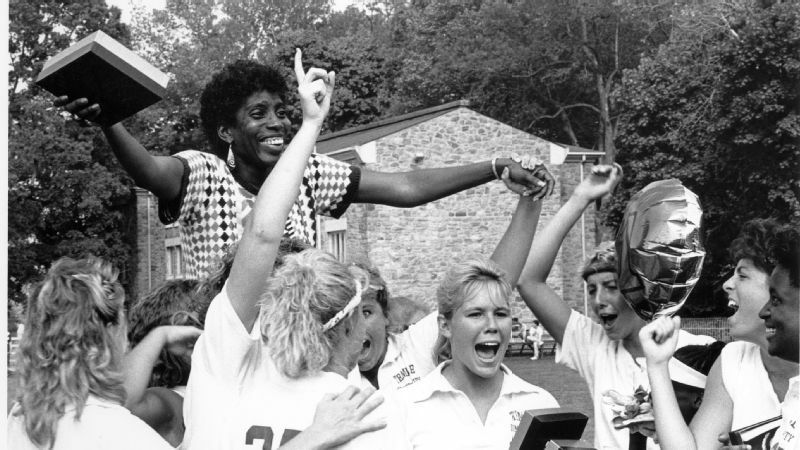 Tina Sloan Green, center, won three national championships as the head coach of women's lacrosse at Temple University from 1975 to 1992. 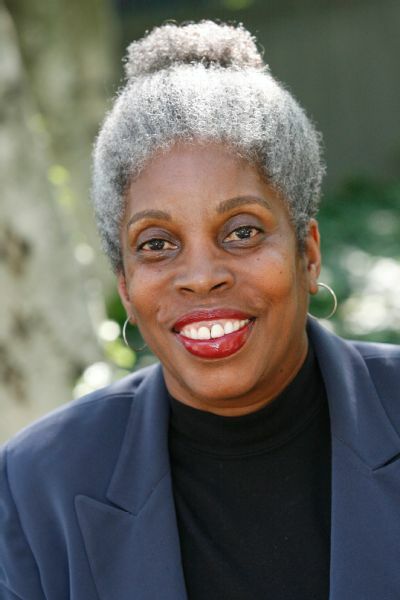 Tina Sloan Green was the first African-American head coach in the history of women's collegiate lacrosse and the co-founder of the Black Women in Sport Foundation. Sloan Green,73, established Temple as a premiere lacrosse program while at the helm from 1975 through 1992, leading the Owls to three national championships and 11 consecutive Final Four appearances. Born and raised in the Eastwick neighborhood of Philadelphia, her athletic chops were cut playing stick ball and jumping rope with local kids before she was eventually introduced to organized sports at the Philadelphia High School for Girls. It was there that she began playing field hockey, which spurred her future lacrosse endeavors. In 1969, she became the first African-American named to the U.S. national women's lacrosse team, then played on the touring team for four years before kicking off her coaching career. 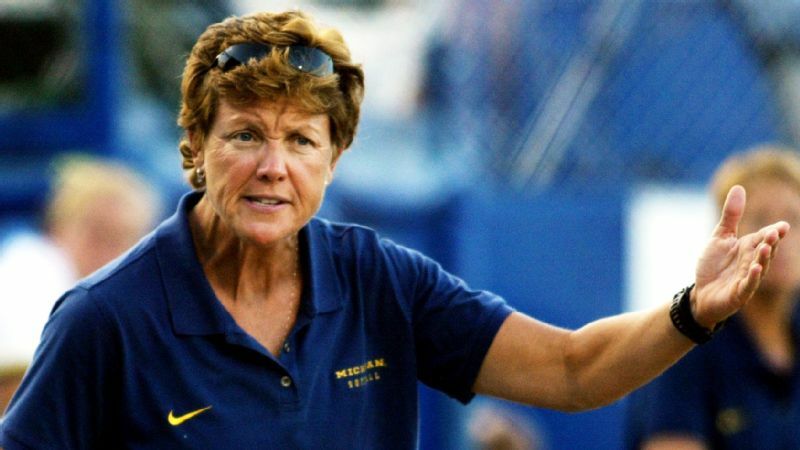 Being on the front lines of women's collegiate sports as a coach in the years immediately following the passing of Title IX in 1972, Sloan Green was and continues to be intimately familiar with the underrepresentation of women of color in non-traditional sports such as lacrosse. That familiarity is the reason she established BWSF in 1992, which aims to increase the involvement of black women and girls in sports, from participating as athletes, coaches and administrators. espnW spoke to Sloan Green about being the "first," working toward the advancement of women of color in sports and Title IX. espnW: How does it feel to be a pioneer in women's lacrosse and sports in general? 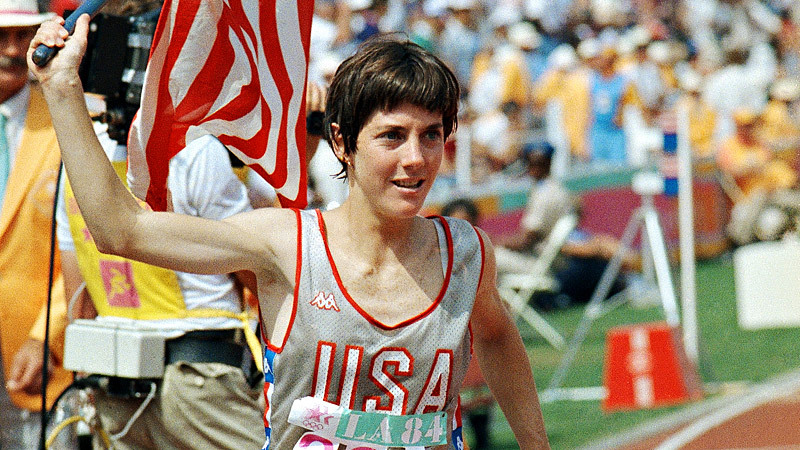 Tina Sloan Green: I was very proud to be the first, but I never wanted to be the "only." That pride is unbelievable. I wanted to represent my family and friends, the university and, most importantly, the African-American community. I realized the importance of that -- and, if I messed up, then [all African-Americans] would be judged by my actions since I am the first. espnW: When did you realize you wanted to coach? TSG: I evaluated my strengths and my weaknesses in high school. I was going to school [at the Philadelphia High School for Girls] with young ladies who were brilliant, and I was just managing to get by initially. For context, the [seventh president of the] University of Pennsylvania [1994-2004], Judith Rodin, was in my homeroom. I thought I was smart; then I saw really smart. But, I was good in sports, and I also enjoyed watching the physical education teachers teach and the coaches coach. I knew it was something I'd enjoy doing and that I had the talent. espnW: How did you construct the Black Women in Sport Foundation? TSG: Carole Oglesby [a professor of sport psychology at Temple], would invite me and [my eventual fellow BWSF co-founders Dr. Alpha Alexander, Dr. Nikki Franke and Linda Greene, Esq.] to go to seminars and conferences centered around sports and the beginning of Title IX. But, we would never see anyone who looked like us. We would be the only ones. I told Carole, "We need to do something about this. Why don't we have something for women in the local Philadelphia area?" So, our first workshop was [focused on] continuing education. We invited local coaches from the high schools, some of whom were African-American -- we specifically wanted to recruit people of color or who were teaching in urban environments. From there, we made connections with the NCAA and with folks around the country at historically black colleges and universities as well as Ivy Leagues. I thought the need would decrease as the years went by, but unfortunately, that wasn't the case. "Title IX did a lot for women, but the disparities still exist," noted Tina Sloan Green. espnW: The mission of BWSF is to increase the involvement of black women and girls in all aspects of sports. Where does your passion for advancement come from? TSG: My own experiences. When I was coaching at Temple, there would be kids looking through the fence with a guard standing there while we were practicing -- they weren't allowed on the field. Individual schools had opportunities to participate in sports, those that were predominantly white, but not in that [particular] community. It bothered me. I couldn't do anything about it because that's the way things were. Also, the fact that growing up, I knew there were young ladies who were just as fast -- if not faster -- than me. Some of them were even better athletes than me, but they never had the same opportunities. Your whole perspective shifts, too, when you become a parent. My first child was a girl, so I wanted to make sure she had the same opportunities or even better opportunities than I did. That was in the back of my mind. I was also told that ... in some sense that I would never be able to be captain of a team or executive director. I didn't fit the mold because I was the wrong color. I'm dark-skinned, I didn't come from an elite environment, and I talk like a "city" girl. I knew in the back of my mind that if I wanted to be in charge of something, I would have to create an opportunity because nobody was going to give it to me. The foundation was my way of doing that. 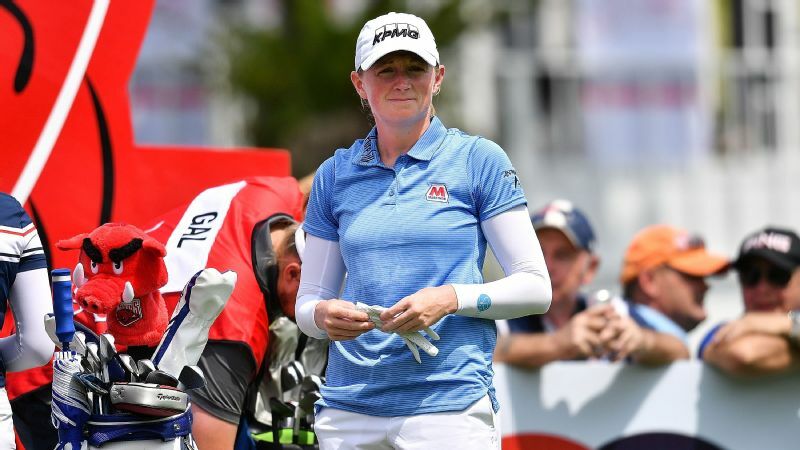 espnW: How did that translate into your coaching? TSG: Fortunately for me, Title IX was just being implemented. That's why Temple was able to advance. We got scholarships and were able to get some talent. These young ladies came from schools that people didn't look at -- they weren't from the mainline, they were from real rural areas -- and my classmates from West Chester [University] were coaching them. We also started a camp, charged a minimum amount of money, because we knew that the very exclusive camps weren't looking to hire us. We were able to identify talent and, more importantly, improve the quality of instruction in our little network. That's how I built my program. espnW: When did you first take notice of that continued disparity? TSG: It's simple. When I walk in the door, I'm the only black person there. You don't need an $80,000 study to understand it. You can eyeball it. Title IX did a lot for women, but the disparities still exist. Traditionally, sports like tennis, lacrosse and field hockey have been elitist -- you have to have money to play. And that's all right. I'm not against the business model. But if you want the best talent, everybody should be able to play. I've been advocating for years, especially in lacrosse. If you want to expand the game to people of color, then widen the game to public schools where there are people of color. espnW: Why is it important to draw attention to the fact that Title IX hasn't made equal opportunities available to all women? TSG: The system is designed for certain people. Gender equity and racial equity are two different animals. But when you become interested in developing the best talent, regardless of race and gender, then you start thinking differently. Based on seeing Venus and Serena Williams, you'd think everybody is playing tennis, which just isn't the case. It also makes it seem like we have all these women [of color] playing lacrosse and field hockey. But if you just eyeball the field, you might see one or two. It's challenging to coach a diverse team. If everyone were the same, then it would be simple. But there are obstacles attached to diversity if you respect it. You want people to be who they are. To me, it's like a good stew. You have your potatoes, carrots, meat and you blend them all, but they still maintain their identity. [But with] goulash, you throw them all together, and they all come out the same. To me, that's boring.